Maureen has lived in the Texas Hill Country for 22 years. 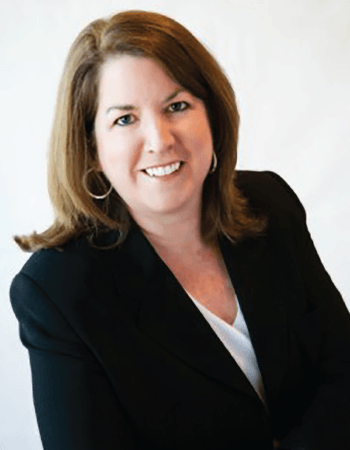 She knows the area well and is an experienced, local real estate Broker. Maureen raised her daughter in this beautiful community commonly referred to as “A Little Bit of Heaven”. With over 20 years of working in the corporate finance world, she decided to switch careers in 2004 and obtain her real estate license. Several years later she earned her Broker’s license. On three separate occasions I have chosen to work with Maureen to purchase/sell properties and each time I am 110% satisfied with her professionalism, expertise, efficiency and negotiation skills. I absolutely would not hesitate to work with her again and know that she goes the extra mile every time! Maureen has guided us through several real estate transactions over the last 13 years, including raw land purchase, selling a home we owned for over 15 years, and finding the best possible rental home to move into while we build our dream home. We have recommended Maureen to coworkers, family and friends because we value her professionalism and knowledge of the real estate market. She’s always available and willing to make suggestions and give options when we weren’t sure what to do or what the next steps were. Over 13 years ago, we were looking for raw land to build on and we were hesitant about building on the property. Maureen and her family have years of experience one way or another with real estate and offered to have her husband check out the property and give his opinion on building on it. Flash forward to just over a decade and we did not hesitate to reach out to Maureen to have her list our home. Within weeks of providing home staging advice and listing, we had an offer and a contingency offer. Between selling and building our new home, Maureen once again was our go-to person to secure a rental home. She assisted us with the pros and cons of renting close to town or out of town. Maureen made sure we weighed all options before making our selection. Her patience and negotiation expertise allowed us to get the best deal on all our transactions. Thanks to Maureen, we are currently building our dream home on that land we purchased over 13 years ago. We highly recommend Maureen and she will always be our family’s go-to person. Maureen was a pleasure to work with. We were anxious about selling our house but she made it all so easy, explaining every step along the way. She helped us stage the home, had professional pictures taken and we had an offer within a week. We would highly recommend her. I had been looking for a ranch in the hill country for quite some time and was not having much luck with the agents in the area. I was in the beginning stages of looking and I’m sure I wasn’t an easy client. Maureen Shanklin stuck it out with me for a year continually sending me listings she thought would fit my needs. She never gave up and we finally did find a beautiful ranch that fit my family’s needs perfectly. I have recommended her to friends. Our home buying experience with Maureen Shanklin was ideal. She knows the area and negotiated a great deal for us. The entire process went smoothly. She kept us informed at every stage and we couldn’t be happier. We made the absolute right choice in selecting Maureen to help us sell our house! Her personal attention, professionalism, and communication helped us sell our house for the amount we wanted and in the time-frame we needed. We highly recommend her. Maureen was a delight to work with. She kept my interests first and foremost and I trusted her advice during the entire process. She always kept me in the loop about where we were in the process. It was much less stressful than I thought it would be. Thank you, Maureen! Maureen worked with me through the process of purchasing a new home and the sale of my existing home. She quickly learned what I was looking for and found it. She was extremely professional in representing me both as a buyer and a seller. I have already recommended her to friends and family and will continue to do so. Selling a home can be a daunting ordeal and Maureen made it seamless. I was nervous about having potential buyers walking through my house but she made arrangements that put me at ease. She is professional and personable – a joy to work with. I recommend her highly. The service and personal attention I received from Maureen Shanklin was exceptional. Her knowledge of the local market and her negotiating skills were key in getting me the best offer on my house. I could not have asked for a better Realtor and I would use her again.